Many people have speculated over the years that one of the major reasons the Dreamcast wound up causing Sega to leave the console market is because it was too far ahead of its time. It also didn’t help that the PlayStation was a mega success and the PlayStation 2 was on the horizon, but that’s neither here nor there. Sega was always a very forward-thinking company and oftentimes gave us things that we didn’t even know we wanted. The Dreamcast was the first home console to allow online multiplayer out of the box, for starters. Microsoft just recently launched their Xbox Game Pass service, allowing gamers to access over 100 Xbox games every month at the low price of $9.99. While Sony offers their PlayStation Now service with over 450 games, it is also twice the price. Even if the Xbox may not be able to boast about their quantity, if you happen to have both systems, the Xbox Game Pass seems to be the better option. Regardless of which you prefer, we first need to stop and thank Sega once again for introducing the concept of unlimited play for a low monthly cost. Back in December of 1994, Sega released what might have been their most innovative product: the Sega Channel. When I find myself reminiscing with friends or colleagues about the games of yore, it is extremely rare for me to come across anyone who actually knows what the Sega Channel was. 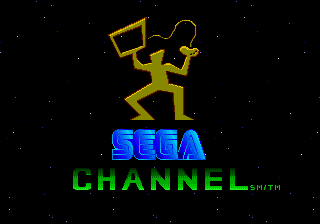 To put it simply, the Sega Channel was the first video game subscription service. Looking back, I don’t know how the Sega Channel came into our home. I had never heard of it before, and I can only imagine that one of my parents was told about the service from a coworker. I’m sure that the idea of paying a small subscription fee every month was a much better option than constantly driving my brother and I to the local Marsh Supermarket to rent games every few days. The Sega Channel is the reason I tell people that I was a “Genesis Kid” despite the fact that we never owned games for the system outside of the packed-in copy of Sonic the Hedgehog 2. Confused as to what the Sega Channel actually was, I wondered internally which channel on my television the games would show up on. In reality, Time Warner Cable provided us with an adapter that went into the cartridge slot on the Genesis, making it appear not unlike a 32X. 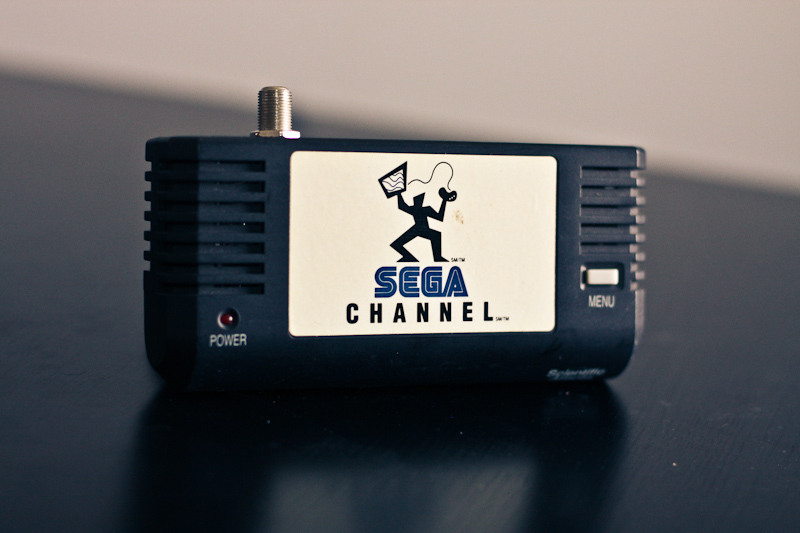 The Sega Channel would send a broadcast signal directly to the adapter by way of a coaxial cable when the system was powered on, and it would take roughly thirty seconds for the main menu to appear. The service offered fifty games per month with no hidden fees. You could literally keep the thing running for an entire month and play an unlimited amount of Genesis games for $12-$15 per month (depending on your location) with an initial startup fee of $25. In today’s dollars, that would be about $19-$24 monthly. In retrospect, it’s a surprise that the Sega Channel was even offered in my area. Sega had done test runs in major markets, but I was from a small town about thirty miles north of Cincinnati, which doesn’t seem like the kind of hotbed market most companies go after. 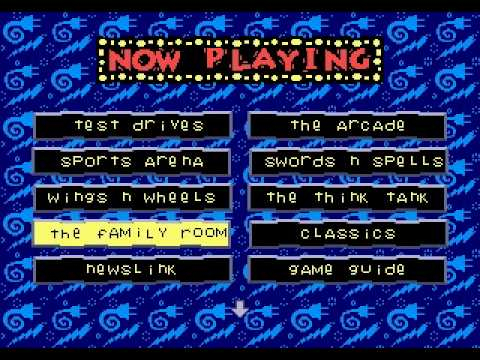 After some initial frustration, I remember the feeling I had when the service finally started operating correctly and I stared at the main menu. 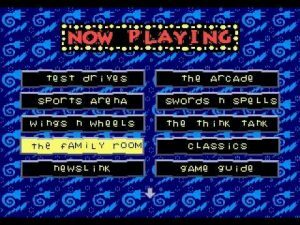 I saw options for things like “The Think Tank,” “Adventure Zone,” and “The Dungeon,” and after choosing an option, staring at the list of games offered in those genres. It was like Pandora’s Box being opened before me. I had transcended time and space. I felt like I was in a video game version of Area 51. I shouldn’t be seeing the things I’m seeing, I shouldn’t have access to the things I now had access to. I was unstoppable! Then, I chose Home Alone as my first game, for some reason. On the first of every month, the list of games would change. Naturally, there were games that transitioned from one month to the next, but you were certainly getting your money’s worth in new content. The Sega Channel also opened me up to trying out new types of games. Up to this point, I played mostly sports games, wrestling games, and anything with Mario on it, but without the risk of wasting my parent’s money on a rental I didn’t like, I was able to experience games that would become some of my favorites of the era. I never would have rented Shining Force II, Toe Jam & Earl, or Eternal Champions, but with the risk removed I was free to take chances. This is also the reason that I equate many multi-platform releases as strictly Genesis experiences. The Super Nintendo may have had better sound and tech overall, but to me, games like Earthworm Jim and Zombies Ate My Neighbors are Genesis games, regardless of which version is considered superior by the masses. Not only did Sega provide us with a variety of popular titles, but they also had a short list of exclusive games for the service. The most well known of these is Mega Man: The Wily Wars. While the game did see a retail release in Europe and Japan, the Sega Channel was the only way to get your hands on this game in North America. It was a remake of the original Mega Man trilogy on NES with a few added features. It is similar to what Super Mario All-Stars did for those games. 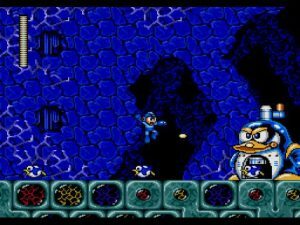 After you complete all three games, it unlocks a new mode called “Wily Tower” which features three new stages with their own unique bosses before reaching Dr. Wily. Though there wasn’t a North American release, there do exist reproduction cartridges, and even though the collector in me typically shuns reproductions, I think this one is a must-have for the Genesis. Other notable games exclusive to the Sega Channel are Pulseman, which takes cues from Sonic the Hedgehog with its level design, and gameplay that is a mashup of Mega Man and Rocket Knight Adventures. Alien Soldier took all the best parts of Contra and Gunstar Heroes and mixed the latter’s frenetic gameplay with some really great designs for the alien threat. 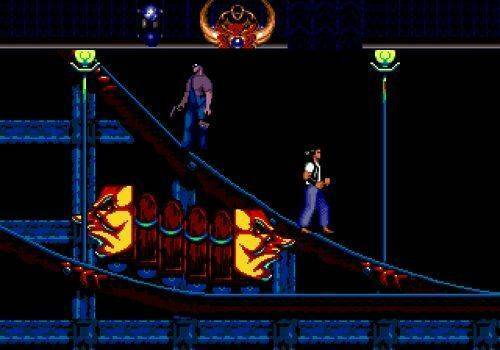 But the most famous of these games (or rather, infamous) is Nightmare Circus. Believe it or not, this game was actually created as a way to compete with Donkey Kong Country. While the game does look fairly good for the time and has more detail put into it than any other game of the era, it just looks like another 16-bit game when viewed through modern eyes. It only saw physical release in South America, as it was cancelled for North American release shortly before it was slated to hit store shelves. I have very vivid memories of this game (though not good ones), mainly due to the fact that it is so cryptic. I remember playing with a friend, and never making any progress or completing a single stage. Luckily, a YouTube channel called RendMGaming has done the Lord’s work and created a very well annotated walkthrough. These videos are essential because the game tells you absolutely nothing. Remember the “mode” button on the six-button Genesis controller? Probably not, but it was there, and it confused everyone because it seemingly never worked. Well, Nightmare Circus used it in one stage to flip the level from front to back and required the player to be standing in a specific spot in order to do so. That’s the kind of nonsense Nightmare Circus did. Unlike Mega Man: The Wily Wars, you don’t need to play Nightmare Circus. At its peak, the Sega Channel was operating with over 250,000 subscribers, which may sound impressive given the time, but is far less than Sega’s expected subscriber base of one million. The service was officially discontinued on July 31st, 1998, long after the Genesis had been a viable system for Sega. Not only should we thank Sega for this innovation, but we should also thank them for what it did for the internet in general. The service required cable companies to clean up their broadcast signals in order to provide a better product to their subscribers. My pre-teen years in gaming were dominated by the Sega Channel, as without it, I might have still been that guy who only plays sports and wrestling games, and I certainly wouldn’t be here writing these words to you beautiful people. It’s a shame that it isn’t as fondly remembered by everyone else in my age range, as it really was one of the best innovations in gaming history. Previous articleAcuteJungle66’s The Turing Test Giveaway Stream!